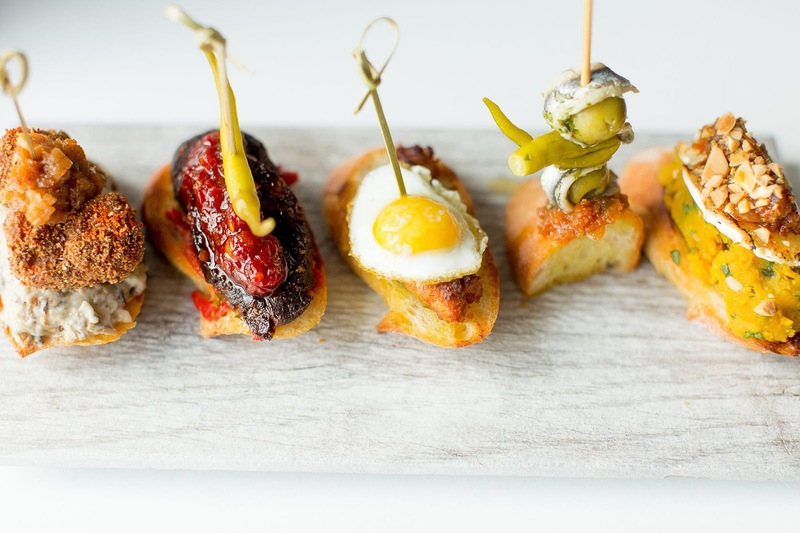 The American Local, one of SE Division's best restaurants, is closing after a four-year run. Owners Jenny Nickolaus and Chris Whaley tell Ravenous Traveler they will turn off the lights after service on April 7. "We just got slower and slower after the election and never really got our balance back," Jenny says. The American Local has been one of my favorite restaurants in Portland since the get-go (so much so I placed it on the Eater PDX 38 in 2016). 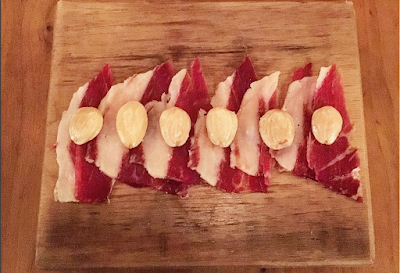 Serving playful, izakaya-inspired dishes, it's a place where you can really enjoy eating vegetables, as well as bacon. 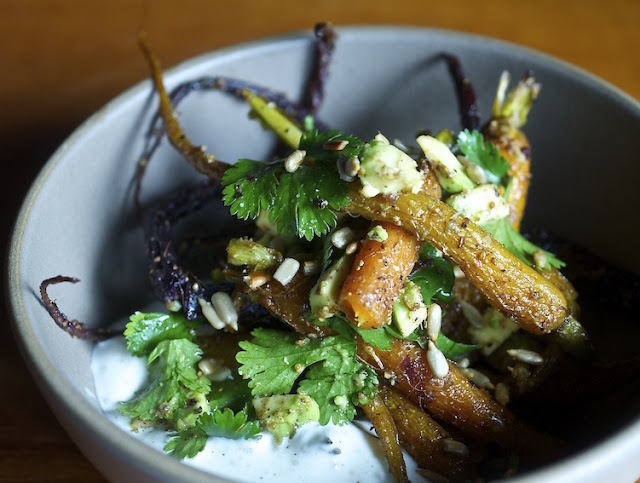 Those sleek cumin roasted carrots came with creamy avocado and smoked yogurt spiked with crunchy sunflower seeds, every ingredient playing a supporting role in honor of the carrot. Those bacon beignets, when on point, made Voodoo Doughnut's maple-bacon bar look like a snack for children. But what I'll really miss about the space was Chris's melding of flavors and seasonings within a party-forward atmosphere all of Jenny's making. Slightly smoked trout "tartare" comes atop a crispy grit cake with creme fraiche, reminding me of both the American South and Russian caviar with blini. For the sweet-spicy knockout, skewers come puncturing smoky pork belly glazed with maple syrup and finished with sriracha. On-tap saké and a solid cocktail program washed it all down. Chris had opened seven restaurants before The American Local, but The American Local was the first he owned and operated. During their run, Chris and Jenny embraced Oregon's farming community and Portland's crafty fleet of artisan products, like Ota tofu and Forest Grove's Momokawa saké by SakéOne. Until April 7, the 50-seat restaurant will maintain regular hours, operating Tuesday through Saturday, from 5:30 to 10 p.m., at 3003 SE Division St.
Armed with great coffee and house-made ooey-gooey stroopwafels to dip in it, Katie Prinsen seriously won hearts when she opened Prince Coffee in Portland's Kenton neighborhood in 2016. Now Katie tells RavTrav her second Prince Coffee will fire up the espresso machine in the Beaumont neighborhood this Thursday, March 29. The new location will set up at 4523 NE Fremont St., near Pip's Original Doughnuts & Chai. Katie says the 1300-square-foot coffee shop leaves lots of space for people to spread out, and along with its lineup of espresso-based coffees, it adds some drink options, including on-tap cold brew and kombucha. "I went to college in the Concordia neighborhood," says Katie, "and I'd go to the Beaumont neighborhood a lot just to walk around. It's super charming. It's like its own little pocket." Food options remained focused on stroopwafels, crispy-bendy disc-shaped dough with caramel sauce in the middle. 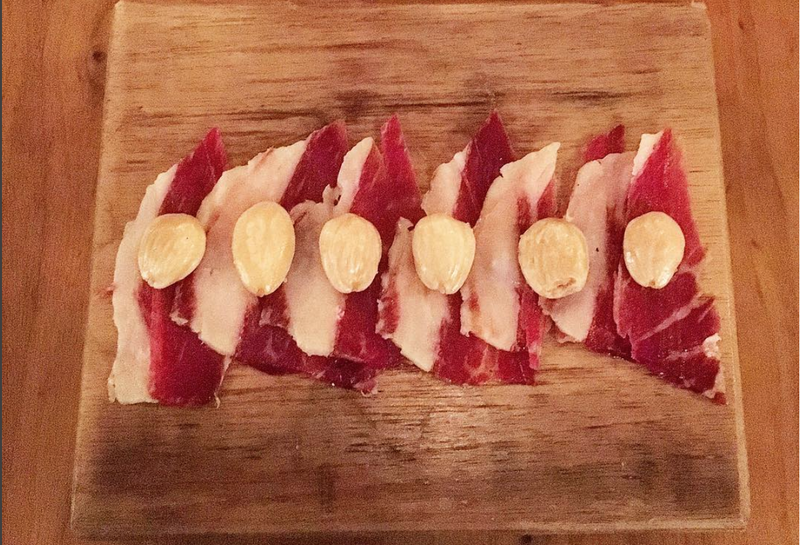 But the venue includes a kitchen area, and a small food menu may someday develop. When I spoke with Katie in 2016 for Eater PDX, she said, "The goal is just to do the basic stuff really, really well." I'm happy to see she not only delivered on the promise but received recognition for it. In a rapidly changing city, it's awesome to see a novel coffee shop with a stroopwafel obsession succeed. This week, Prince Coffee Beaumont will have limited hours Thursday through Sunday (7 a.m. to 4 p.m.). Starting Monday, the new Prince Coffee will operate 6 a.m. to 6 p.m., Monday through Friday, and 7 a.m. to 6 p.m. on weekends, for maxim stroopwafel consumption. Coffee and stroopwafels: a true romance. Moving to Portland after opening her flagship Sammich sandwich shop in Ashland, Oregon, Melissa McMillan can smoke meats with the best of them, and at the heart of the menu is her seven-day, Montreal-style pastrami sandwich, utilizing beef brisket. In the video below, Melissa shows RavTrav what goes into the sandwich — the one I loved cramming into my face so much I gave her the title, Portland Sandwich Queen. Sammich PDX opened summer 2016 at 2137 East Burnside St., following on the heels of Melissa's Portland-based Pastrami Zombie food truck, now located in the Mississippi Marketplace pod. Beyond the pastrami, you can't go wrong with anything else on the menu (aside for the grilled cheese; that's for kids, silly). Speaking of kids, outside of work Melissa coaches baseball for boys ages 10 to 14. But watch out boys: We shot the video right after Melissa returned from her niece's basketball game in Seattle, and she says the game was so fierce she may one day switch to coaching girls basketball. 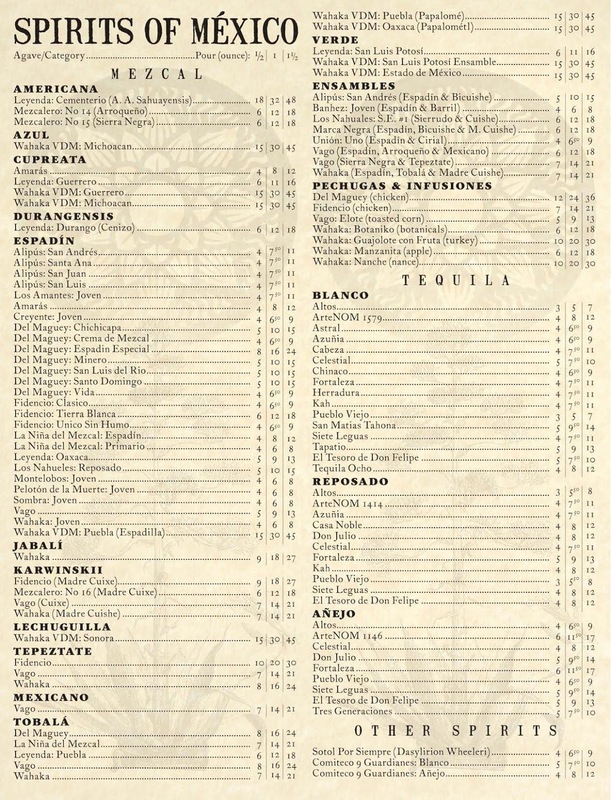 Updated: Teote Mezcaleria just shared its expansive list of mezcals, tequilas, and rare agave spirits with RavTrav. 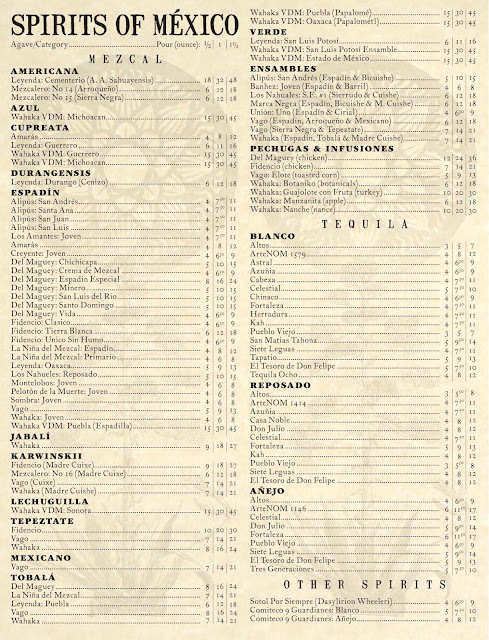 Check out its food and drink menus below! 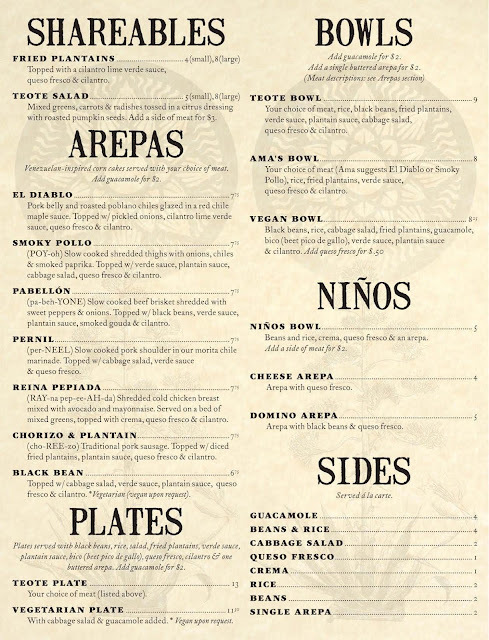 Original coverage: Teote Mezcaleria is now open with abbreviated hours at 2700 NE Alberta. 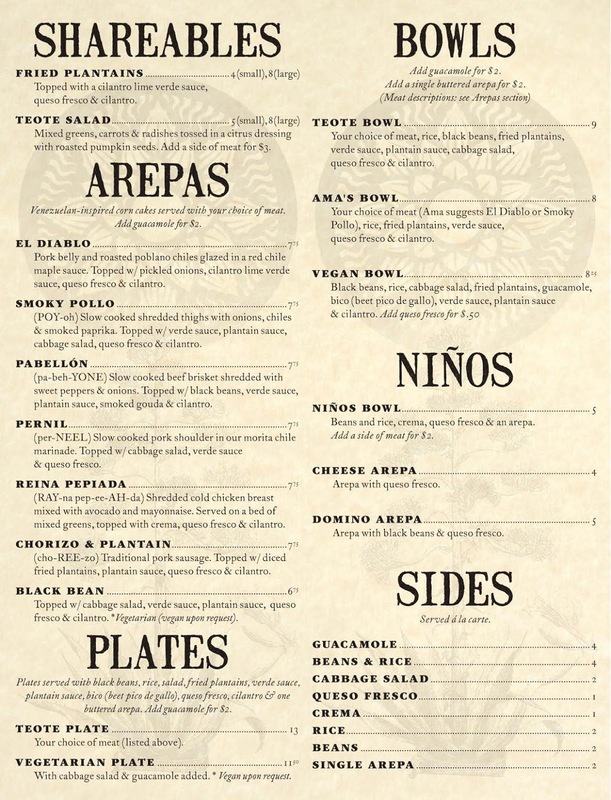 It is sister restaurant to the absolutely killer arepas spot in Portland's Hawthorne neighborhood, Teote. While it will serve some food, it's really a gamechanger for lovers of mezcal, tequila, and rare Mexican spirits. 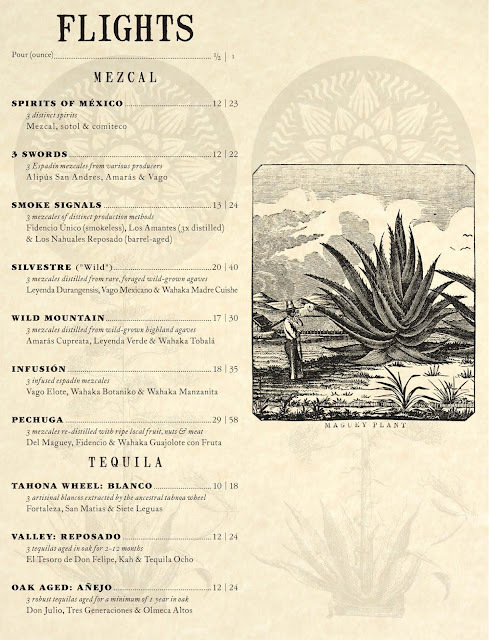 "Currently we have 106 Mexican spirits," Teote Mezcalaria manager, Diego Bañuelos Enríquez, tells RavTrav. "We have 77 mezcals from 42 brands, featuring 31 maguey varietals, from 31 Mexican municipalities." 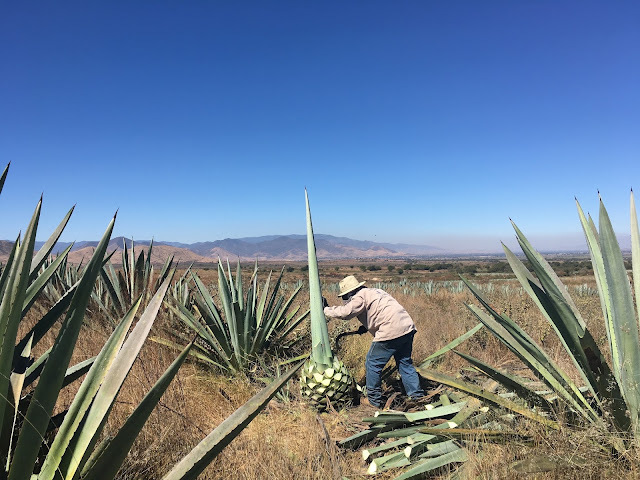 The extensive bottle selection means you can try the many different flavors of the agave plant — and get away from the more one-dimensionally smoky mezcals that usually cross the Mexico-U.S. border. 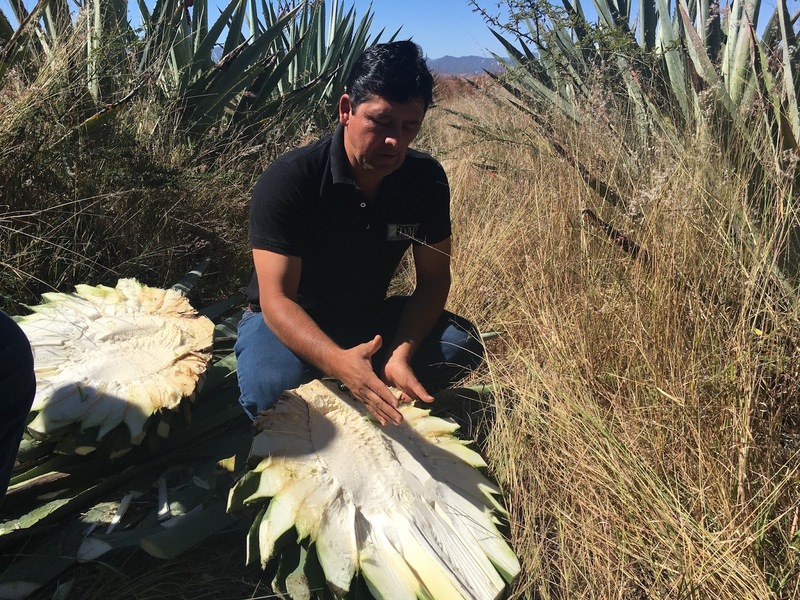 Just like wine grapes, different agave species have different aromas and flavors, and small-production mezcals let those inherent, nuanced flavors shine. 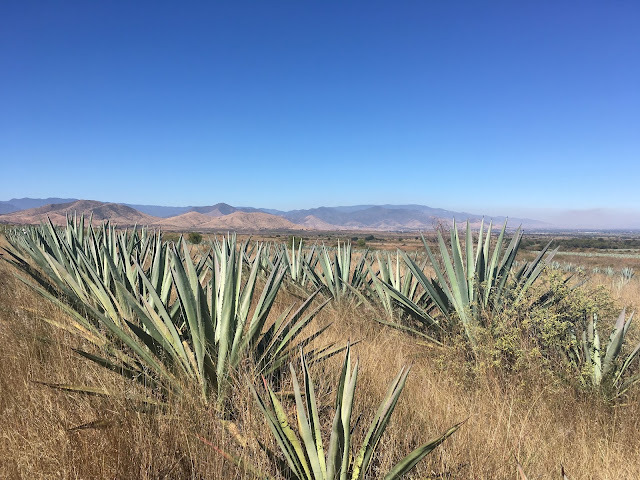 Mezcal is the only spirit I can think of that features varietal distinctions, from tropical fruits to different weights and textures. Supporting small-production mezcals also makes a big environmental and socioeconomic difference in small Mexican cities and villages: A single distillery can fuel an entire village's economy. With the mezcal trend only getting hotter, the future of these small distilleries is in jeopardy, as more and more large businesses try to buy them out — often internationally owned. 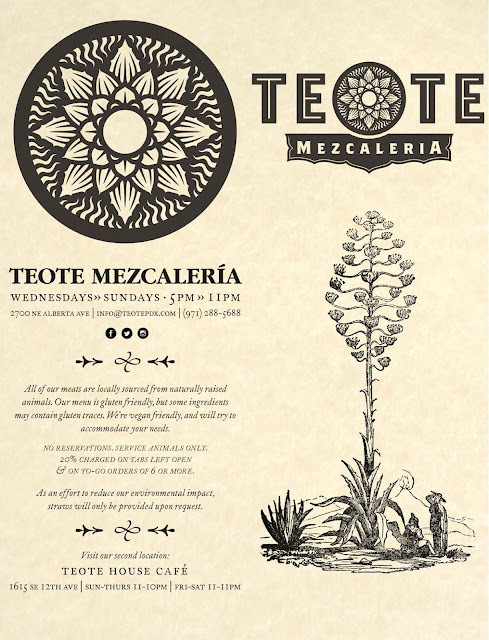 Teote Mezcaleria currently operates Thursday Wednesday through Saturday Sunday, from 5 to 11 p.m. It has featured a DJ every night it's been open, with several DJ-fueled nights on the books for March and April. The bar is already pouring mezcal, as well as related libations like comiteco. 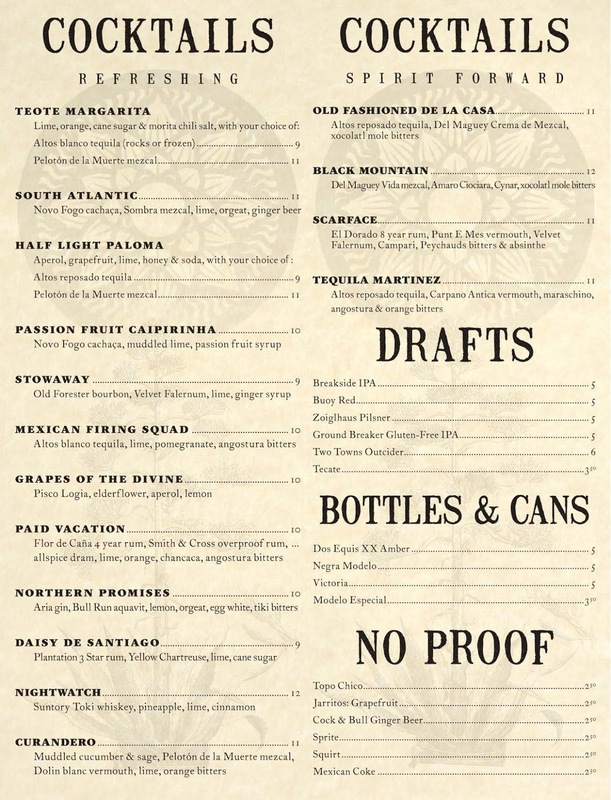 I personally cannot wait to see the full mezcal bottle list. Didn't win the first round? Head to the Ravenous Traveler Facebook page for another chance. Full details: Ravenous Traveler is giving away a free gift card for dinner for two to Andina Restaurant (a $70 value) as part of Portland Dining Month. Travel Portland thoughtfully donated the gift card. To enter the sweepstakes, 1) like the Ravenous Traveler Facebook page (if you haven't already) and 2) answer this question in the comments on the post: Who is one of your favorite Portland chefs? The sweepstakes close at 12:01 a.m. (PST), March 8, 2018. I will choose a lucky winner at random on March 8 and contact the winner via Facebook message. You must respond with a mailing address within 48 hours. 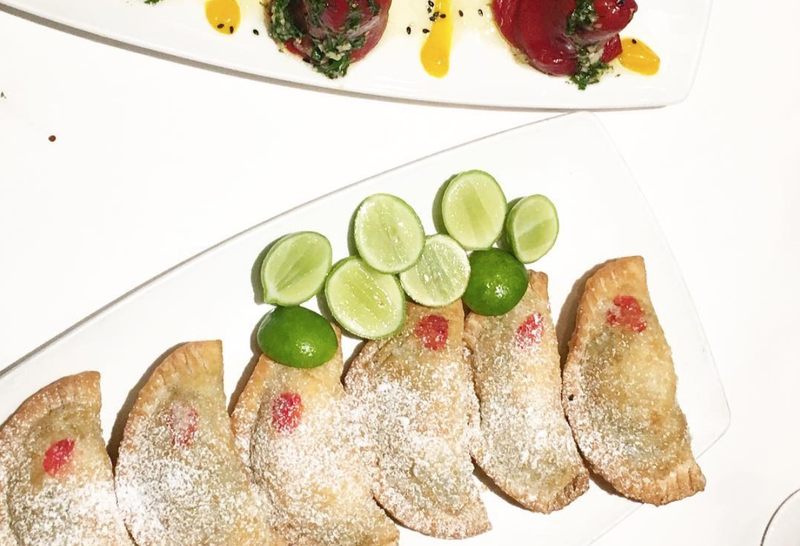 I will immediately mail out the gift card, good for two Portland Dining Month menus at Andina (excluding tip and beverages). The promotional value of the gift card is based on Portland Dining Month menu pricing for two guests (excluding beverages and tip). The gift card is only guaranteed to be valid during Portland Dining Month (March 1-31). 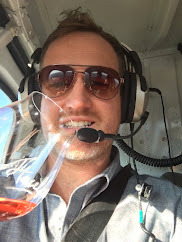 I strongly encourage making reservations through OpenTable.com because 1) a donation will be made to the Oregon Food Bank, and 2) Portland Dining Month gets busy, and a reservation ensures you a seat. This promotion is in no way sponsored, endorsed, or administered by, or associated with, Facebook. By entering this contest, you agree to a complete release of Facebook from any or all liability in connection with this contest. 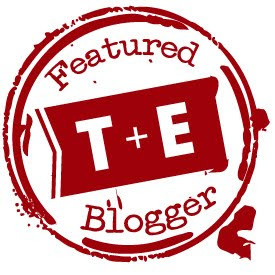 By entering this contest, you agree to a complete release of Ravenous Traveler from any or all liability in connection with this contest.